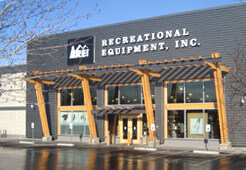 I have been a member of REI (Recreational Equipment, Inc.) since the 1980s. REI began in Seattle during the depression as a cooperative for outdoor enthusiasts. Since then, it has grown to become the nation’s largest consumer co-op, and continues to return the majority of profits to members through annual member refunds based on their purchases. I bring this up because President Obama’s nominee for Secretary of the Interior, Sally Jewell, is CEO of REI. Timothy Egan has an interesting opinion piece in the New York Times arguing that Jewell represents the majority of Americans who are impacted by Interior Department decisions about public land use. The emperor of the American outdoors usually wears a cowboy hat, for the lashing dust and searing sun in the domain of the Interior Department, one-fifth of the United States. James Watt, the most small-minded head of that agency in modern times, wore one. So did Ken Salazar, the outgoing secretary. Don’t expect to see Sally Jewell, who is President Obama’s nominee for Interior secretary, in a showy Stetson. Running shoes, yes. Climbing helmet, of course. Cycling tights, no doubt. If confirmed, Jewell would be one of the few directors of that vast department to actually share the passions of the majority of people who use the 500 million acres of public land under Interior’s control. It’s not just that Jewell has climbed Mount Rainier, kayaked innumerable frothy waterways, skied and snowboarded double-diamond runs. Nor that, as chief executive of the nation’s largest consumer cooperative — Recreational Equipment Inc., the retailer known as REI — she knows that Americans spend more money on outdoor equipment than they do on pharmaceuticals or gasoline. But Jewell — a city-dweller, educated, articulate about the importance of nature in a modern life — is a prototypical citizen of the 21st century American West, still the geography of hope, in Wallace Stegner’s timeless phrase. Egan sees Jewell as giving a voice to that 21st Century citizen of the American West. For all the ranchers and wildcatters, the loggers and right-wing county commissioners who clamor for control of the nation’s public lands, the dominant user is an urbanite, who bikes, skis, rafts, climbs, hunts, fishes, watches birds, waits for sunsets with a camera or finds an antidote for “nature deficit disorder” in a weekend on a high plateau. Every time gas prices go up, some demagogue will say it’s because we aren’t sucking enough oil out of our shared setting, when in fact there is no connection between the global price of oil and annual output from government leases. But Obama has been afraid to rally the larger conservation and recreational-user coalition because he fears the wrath of the fossil-fuel crowd. In part, this is because those who value the prairies, canyons, mountains and grasslands of Interior for something other than extraction have been largely missing from the debate. They let buffoonish politicians from rural Western areas drone on about the need to put even more public lands under control of the oil industry. They allow corporate interests who are more at home on a Saudi golf course than in a slick-rock canyon in southern Utah to speak for the West. Just recently, that has started to change. The outdoor recreational industry directly supports three times more jobs than the oil and gas sector. People who play in the American outdoors spend $646 billion a year, responsible for 6.1 million jobs. While Obama seems to be aware of the need for a different type of stewardship for public lands, the same cannot be said for members of the Idaho Legislature. They rejected Governor Otter’s nominee for Fish and Game Director, Joan Hurlock. For the first time since 1974, the Idaho Senate has rejected the governor’s nominee for a slot on the Idaho Fish and Game Commission, voting 19-16 against confirming Joan Hurlock, only the second woman ever to serve on the panel. “This lady is not qualified,” Sen. Jeff Siddoway, R-Terreton, told the Senate. He said she lacked the necessary “passion” for hunting and fishing. Hurlock, of Buhl, held Idaho hunting and fishing licenses several times, but not every year, and didn’t hold one for a nine-year stretch prior to last year. She’s an advocate of youth access to hunting and fishing and an active volunteer. Dan Popkey of the Idaho Statesman had an interesting piece about the Hurlock rejection that reinforces Egan’s claim about a shift in thinking about public lands. It’s no surprise that the rejection of Joan Hurlock, Republican Gov. Butch Otter’s nominee to the Idaho Fish & Game Commission, included a hint of the urban-rural divisions that have long defined Idaho politics. Of the nine Senate Republicans who supported Hurlock in a losing 19-16 vote Monday, seven represent significant urban constituencies: Dan Johnson of Lewiston, Shawn Keough of Sandpoint, Todd Lakey of Nampa, Patti Anne Lodge of Huston, Fred Martin of Boise, Jim Patrick of Twin Falls and Jim Rice of Caldwell. Keough represents a largely rural district, but Sandpoint is a fashionable resort and retirement town. They backed the leader of their party’s appointee, despite her casual relationship with hunting and fishing. Nineteen Republicans opposed Hurlock. All seven Democrats, who represent city-dominated districts, voted for her. The two Republicans who supported Hurlock and represent largely rural districts were her floor manager, Bert Brackett of Rogerson, who ranches in Southern Idaho and Nevada, and John Tippets of Montpelier. Popkey uses Sen. Patty Lodge as an case study of how things may be changing in Idaho. The Hurlock nomination became a proxy for a cultural shift that can seem threatening to rural interests that have long held sway. “They’re not a hunting family,” said Sen. Lee Heider, R-Twin Falls, capsulizing the us-vs.-them sentiment on Hurlock, who moved to Buhl a decade ago from California, where her father was a game warden. Though Hurlock lost, Otter’s decision to fight for her nomination is yet another sign of change in a state where cities are growing far faster than rural precincts and folks born outside Idaho outnumber the native-born. Perhaps the best example in the Senate is Lodge, a seven-term lawmaker who moved to Idaho at age 4 from Pennsylvania, when her father won a football scholarship at the College of Idaho. Lodge is deeply connected to the GOP establishment. Her husband, Edward, also played at C of I and was a state court judge for 26 years. In 1989, President George H. W. Bush nominated him as a federal judge, a post he continues to hold. Their son, Ed, is a lobbyist for CenturyLink. But Lodge then made what might seem a dangerous admission: She’s given up hunting. She likes to see deer, quail, pheasants, ducks and geese roaming her land on Sunny-slope near the Snake River – without wanting to shoot them. Lodge’s brother, former Liquor Dispensary Director Dyke Nally, chaired Otter’s eight-member committee that interviewed seven commissioner candidates. The panel ranked Hurlock in a tie for first. Nally, Lodge said, raised 150 chukar chicks last year, releasing them in an orchard owned by the siblings. Lodge had a reminder for those she called the “great white hunters”: Many citizens see critters as more than meat on the run. “Remember, that wildlife belongs to all of Idaho,” she said. Sen. Lee Heider, R-Twin Falls, who led the opposition to Hurlock’s appointment, told the Senate, “If you haven’t shared the experiences, I don’t think you can make the correct decisions.” It would be nice if Heider took his own advice. He has had no experience in education, yet felt qualified to propose a bill that reflected his ignorance. Today, after hearing from many who know better about the “unintended consequences” of the legislation, he withdrew it.